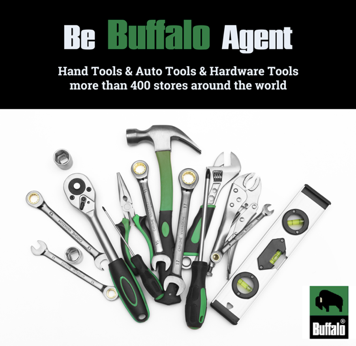 Buffalo Tools is established in 1964. We supply professional Hand Tools, Garden Tools, Auto Tools, Hardware Tools to our agents over 400 stores around the world now. We are looking business partners, agents and distributors that will represent Global Buffalo in more countries. If you are interested in selling or reselling brand hand tools. We could be the right partner for your business, let’s grow our business and expand the market share together. **Please note that our Philippines agent has been exclusive for over 20 years so we do not need more distributors in Philippines. Thank you!